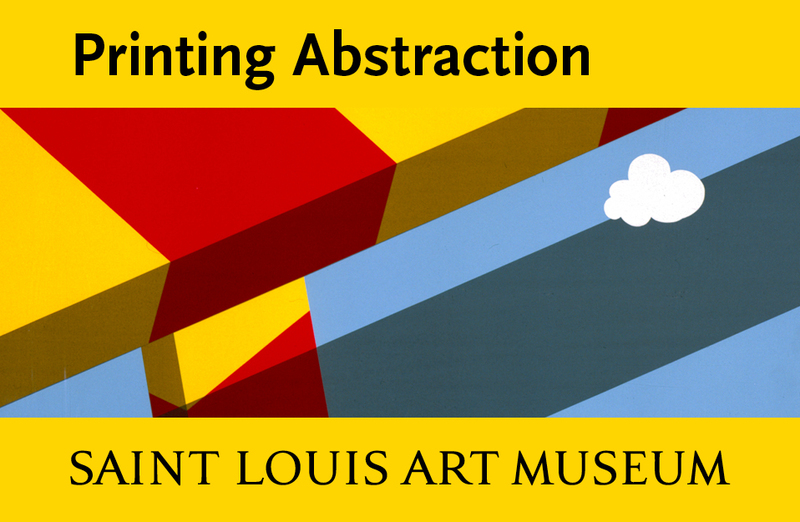 "Richard Tuttle: A Print Retrospective"
Richard Tuttle’s art has consistently eluded standard categorization. Traditional definitions of medium, installation practice—even, one might say, desired effect—do not apply. He has often worked three-dimensionally, but his structures make even an artist such as Richard Serra seem conventional. He has worked on paper, but again, you would be hard-pressed to call what he does “drawing” in the way the term is commonly used. And the works he calls paintings, often shown in conjunction with more typical paintings by other artists, are neither stretched nor painted. There is a philosophical bent in his thinking that clearly makes its way into his work. One can find many mid-20th-century antecedents, beginning, perhaps, with the experiments and teachings of John Cage and culminating with the Conceptual Art movement, which continues to have powerful repercussions today. Tuttle came of age in the 1960s and would have been open to these ideas, yet his work is defiantly material. Masked in the delicacy of his constructions and the seeming recessiveness of his installations is a sturdy belief in material culture that feels very American. This tendency toward the spare, the tough, the workmanlike (or workwomanlike, as many of his materials and gestures seem to come from the world of “women’s work”) creates a tension with, or adds another level of valence to, a Cagean emphasis on emptiness and blurring the line between art and life that had its origins in Buddhist philosophy. Rauschenberg should be mentioned here as well, with his famous “I work in the gap between art and life” statement, but though he worked hand in glove with Cage and shared an aesthetic, his concerns were not rooted in Buddhism but rather, perhaps, in a branch of Pragmatist philosophy. 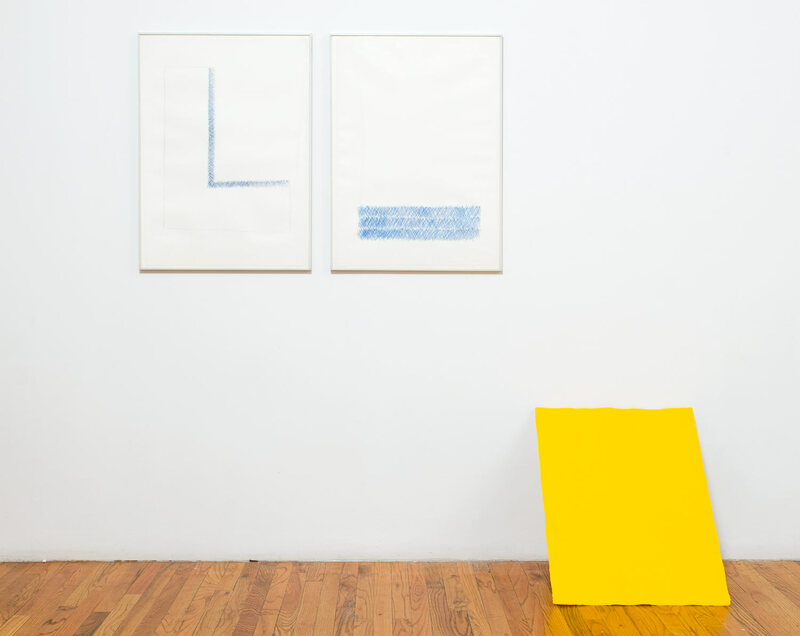 Richard Tuttle, In Praise of Historical Determinism I, II, III (1973-74), two lithographs printed in blue, one screenprint in chrome yellow (set of three). ©Brooke Alexander Inc., New York. Collage can be seen as an overarching principle in Tuttle’s work, and it might make sense to look for roots further back in the era that brought fine art into the blinding light of the 20th century. The experiments undertaken by Picasso, Braque and their colleagues that became known as Synthetic Cubism were revolutionary in their disavowal of traditional fine art media and more importantly in their emphatic embrace of detritus from the real world. Tuttle, not unlike these predecessors, evinces a love for the junk of daily life, transforming it by assembly, juxtaposition and color into talismanic objects that are art works but also seem like emblems of some mysterious ritual. To give an example of the fastidiousness of his foraging, his 2008 six-section work Compartmentalization contains the following elements, though you would not necessarily see them as such at first glance: acrylic paint, acrylic yarn, aluminum metallic tape, archival mat board, balsa wood, bass wood, birch plywood, canvas, cardboard, glue, graphite, metal, metal wire, mohair, nails, oil paint, oil pastel, paper, papier-mâché, pine wood, plastic, sawdust, silicon, staples, steel wool, straight pins, styrofoam, thread, twigs, velvet and wire mesh. Hidden in this list are some very traditional art-making materials, even if they were found objects, as well as things that would normally be considered part of the mounting surface or installation process. It is almost as if Tuttle has a devised a surreptitious way to return to tradition on his own terms, that is to say untraditionally. All these qualities—his hybridity, his refusal to work predictably, his desire to get literally inside his media—are found in Tuttle’s prints. Predictably for him, he started out by deconstructing the parameters by which prints are usually judged. Later, however, he returned to something that, in contrast to any perceived association with Minimalism, can only be seen as a romantic lushness. He did this not by copying or adapting earlier models, but by applying a vibrant modernist lens. The exhibition organized by the Bowdoin College Museum of Art in the summer of 2014 allowed visitors to witness the full range of Tuttle’s graphic production. While the experience might have been baffling for some, it ultimately presented an opportunity to revise one’s preconceptions regarding printmaking, as well as moments of shocking poetry. Given that Tuttle devotes much time to research and, in a way, his prints are experiments intended to engage the art historical and critical as much as the sensory faculties, it made sense that this exhibition took place at an educational institution. Curated by Christina von Rotenhan in collaboration with Bowdoin curator Joachim Homann, the exhibition was accompanied by a handsome catalogue with contributions by James Cuno, Susan Tallman, Armin Kunz, Chris Dercon and the artist, in addition to the curators and Bowdoin museum co-director Anne Collins Goodyear. It is useful to have the catalogue, which is beautifully produced and fully annotated, after the fact. If one had had to take the time to read everything about Tuttle’s processes during the exhibition, its historicity would have become overwhelming. As it was, the viewing experience could be as info-heavy or light as the viewer wished, and the possibility of a fully sensual immersion in the work was enhanced by the flexible chronology of the installation. 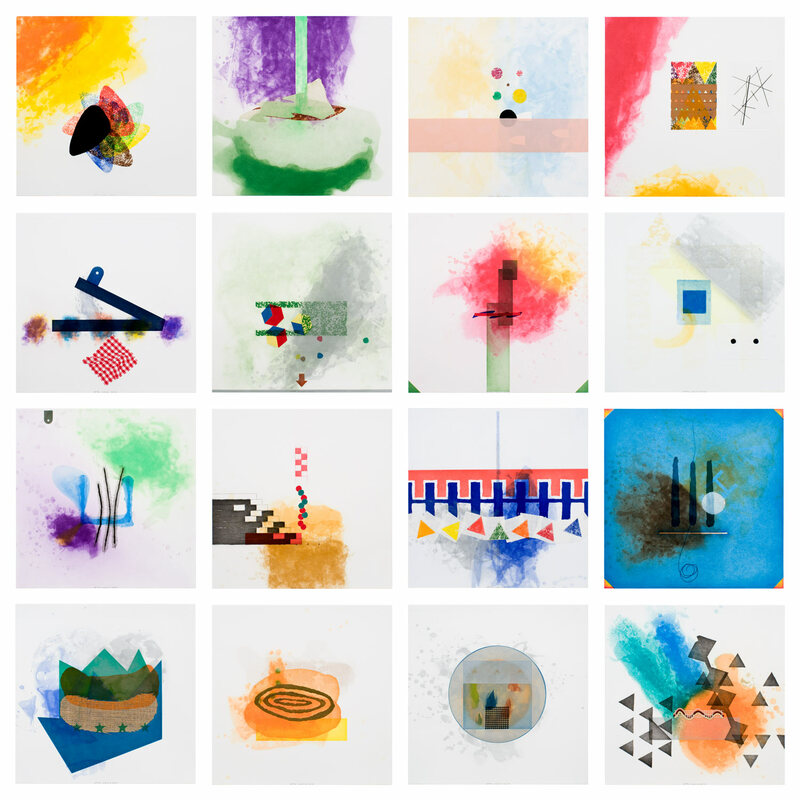 The opening gallery introduced some of Tuttle’s earliest thought-experiments of the 1970s but also included the bold work Step by Step from 2002. In Praise of Historical Determinism I, II, III (1973–74) and Print (1976) appeared decidedly Minimalist at first glance. The earlier piece calls for a yellow screenprint to be propped against the wall, while two lithographs of the same size but far more recessive in coloration hang side by side. As often with Tuttle, there is a sense of humor at play: the stodgier lithos looking down scornfully at the devil-may-care screenprint. It is this quietly subversive quality that, from the beginning, separated Tuttle’s work from that of less blithe adherents to Minimalism’s demands. Print is composed of two white sheets, with a black, screenprinted bar linking them. Again, this seems to be a very withdrawn, reserved piece, but it is in fact a subtle yet definite violation of the picture. 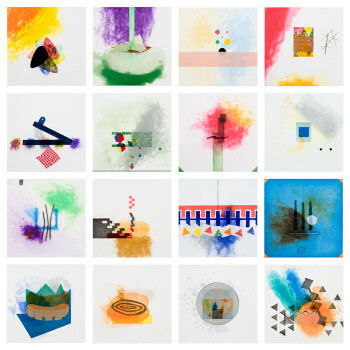 Richard Tuttle, Cloth (2002-2005), series of 16 etchings (conceived in groups of four) with aquatint, spitbite, sugarlift, softground, drypoint on fabric collé. ©Brooke Alexander Inc., New York. In the second, larger room, the judicious selection of works and the provocative restraint of the installation choices gave each work (most of them in series) added impact. Two vitrines displayed some of Tuttle’s numerous ventures in book form (to which he sometimes contributes text as well as image and other times collaborates with poets, including Mei-Mei Berssenbrugge, his wife). The work hanging on a far wall, Line (2000), a suite of 13 etchings with woodblock, aquatint and chine collé, is related to the earlier series, The Edge (1998) and Edges (1999), all made with printer Greg Burnet and published by Brooke Alexander. The three sets are part of an exploration—one might say, a quiet deconstruction—of the mystique of the platemark, among other things. A defining aspect of traditional intaglio technique, the rectangular platemark is symbolic of what Tuttle saw as arbitrary aesthetic and social barriers he wanted to play with, just as in his sculptural work he wanted to highlight and diffuse the properties of support elements. In The Edge (13 engravings with copperplate embossing) Tuttle used two different (one wants to say, “conflicting”) plate marks: a large square one, mimicking the paper’s edge, and a smaller irregularly shaped mark, outlining each print’s image. 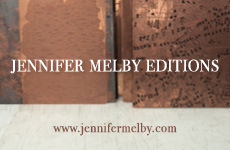 In Edges (13 aquatints, with engraving and drypoint, with copperplate embossing), two platemarks are visible, one inside the other, and colors are printed inside and outside the inner mark. In Line, there are again two platemarks per print, but while the outer mark remains static, the inner one varies wildly in dimension and location, as do the colored and linear shapes found in each print. The next gallery held a number of works produced at ULAE: the Seasons (2005), larger-scale woodcuts with lithography, the 11 mixed-media works of When Pressure Exceeds Weight (2012–2013), and Other (2009), a huge arc made of hand-formed pigmented paper pulp, mounted on two handmade wooden brackets. This object’s rich orange tonality, coupled with the bold animal-like quality of the two brackets, again introduces an element of surprising humor that makes one want to know more about the motivations behind the piece. A commonality can be found between it and the early work In Praise of Economic Determinism (1973), in which a hand-drawn arching line droops like an inverse of the arc in Other, and two holes in the paper echo the two brackets. When Pressure Exceeds Weight is among several projects making use of handmade paper. Here again, Tuttle continues to play with expectations and perceptions. 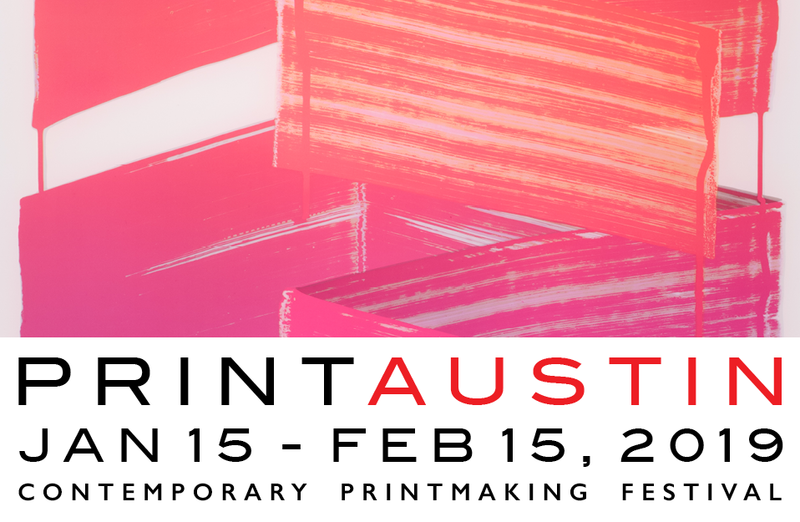 He challenges the paradigm that, in prints, ink is printed on paper. In this and other series, Tuttle prints while the handmade paper is still wet, obscuring whether color patterns are in the paper, printed, or a combination of the two. Further complicating the viewer’s comprehension in this set is his decision to use two different presses—a traditional etching press, in which the paper is horizontal when printed, and a vertical hydraulic press—which pushes further the effects of wet paper moving, and therefore changing image, in response to pressure. One was shocked, finally, even after all the surprises in this subtle exhibition, to come upon Cloth (2002–2005, 16 etchings with aquatint, spit-bite, sugar-lift, soft-ground etching, drypoint, and fabric collé), another series produced with Burnet and Alexander. Cloth is in a way a summation of Tuttle’s concerns in printed work to this point, his Well-Tempered Clavier. In each print, a different type of fabric is included by collaging or chine collé. The fabrics include fiberglass, silk, taffeta and sack cloth. Small, shaped plates were used to print brightly colored shapes. But no amount of detail about the materials or the printing techniques used in this masterful series prepares one for the astonishing lushness of its imagery. The beginning of Tuttle’s career was contemporaneous with the prime of Arte Povera, the Italian movement that put a premium on using materials from daily life—industrial materials, cast-offs from building construction or other effects of survival. Despite certain similarities in concept, however, Tuttle’s work differs from that of Jannis Kounellis, Mario Merz, Marisa Merz and others, through its often lighthearted, fanciful approach to color and materials. Tuttle’s art is not without political implications, but the way he blends humor into his simple means, and the way his work often seems evanescent, gives it a different ultimate effect. Tuttle is like a one-person movement himself, unusual amid the trends of late 20th and early 21st century American art. The fact that one can identify at least one major artist, Jessica Stockholder, whose work is clearly indebted to paths Tuttle has quietly blazed, is testament to his achievement. The print retrospective at Bowdoin made that achievement palpable—and was a delight to witness.